A persimmon is the edible fruit of a number of species of trees in the genus Diospyros in the ebony wood family (Ebenaceae). The word Diospyros means "the fruit of the gods" in ancient Greek. As a tree, it is a perennial plant. 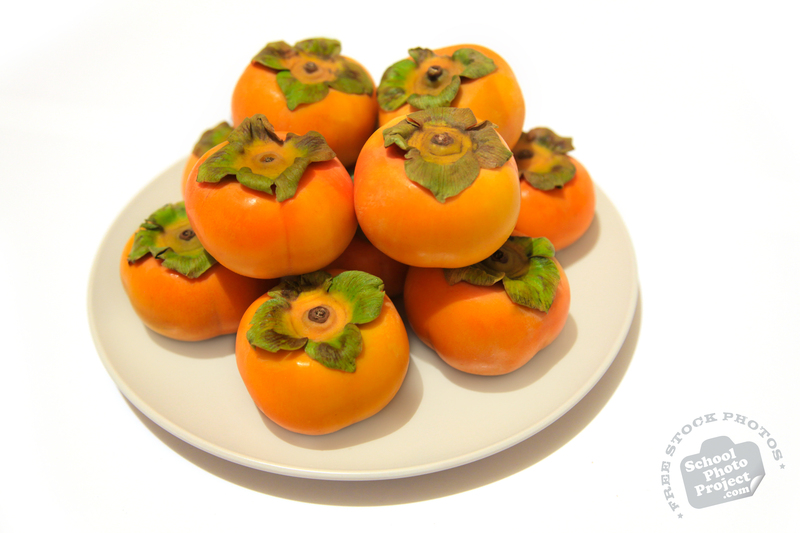 The word persimmon is derived from putchamin, pasiminan, or pessamin, from Powhatan, an Algonquian language (related to Blackfoot, Cree and Mohican) of the eastern United States, meaning "a dry fruit". Persimmons are generally light yellow-orange to dark red-orange in color, and depending on the species, vary in size from 1.5 to 9 cm (0.5 to 4 in) in diameter, and may be spherical, acorn-, or pumpkin-shaped. The calyx often remains attached to the fruit after harvesting, but becomes easier to remove as it ripens. They are high in glucose, with a balanced protein profile, and possess various medicinal and chemical uses. Like the tomato, it is not considered a "common berry", but is in fact a "true berry" by definition.